To the Tilneys, revisiting to Bath a year after they first met seems it can only add to their happiness; but Catherine finds Bath still carries dangers she must learn to navigate. Revisit the pleasures of Georgian Bath with your favorite characters from Jane Austen's Northanger Abbey and prepare for romance, mystery, and a very nice story indeed! Includes 29 illustrations by Cassandra Chouinard. The fab Margaret C. Sullivan has offered up two copies of her new Northanger Abbey sequel, There Must Be Murder for two lucky winners! Fill out the Rafflecopter form to enter! Thanks for the giveaway- this book looks wonderful! I like reading Austen like takes and continuations! Thanks! 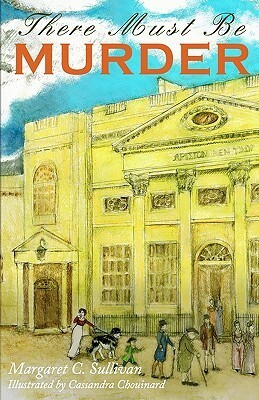 I really enjoyed Northanger Abbey and a retelling of it with a little mystery thrown in sounds like a good read. Can’t wait to read this book! Looking forward to reading this one. Northanger Abbey is my favourite Austen. Thanks for the giveaway. Interesting! 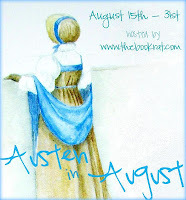 I've never read a NA Austenesque book. Sounds good. I loved this book! It's amongst the best. JaneAusten + murder = MUST READ!! Well I'd love to read it because I love The tilneys. Great characters. Second, because I haven't gotten to read it and it's on my tbr list. third because I love mysteries and there aren't very many that I've read yet in the Austen line. I love Northanger Abbey and I think it gets shafted too much by critics but is actually kind of a brilliant statement on our fascination with gossip and things that go bump in the night - and of course, the books that scare us! Nothing much has changed. Anyway, I'd love to read more about Catherine and the Tilneys.